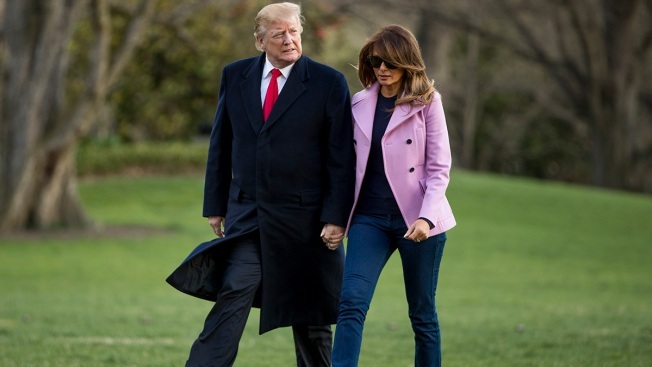 President Donald Trump and first lady Melania Trump walk along the South Lawn of the White House in Washington, Sunday, March 31, 2019, as they return from Trump's Mar-a-Lago estate in Palm Beach, Fla.
As he threatens to shut down the southern border, President Donald Trump is considering bringing on a "border" or "immigration czar" to coordinate immigration policy across various federal agencies, according to four people familiar with the discussions. Trump is weighing at least two potential candidates for the post: former Kansas Secretary of State Kris Kobach and former Virginia Attorney General Ken Cuccinelli, according to the people, who spoke to The Associated Press on condition of anonymity because they were not authorized to discuss the conversations publicly. Kobach and Cuccinelli are far-right conservatives with strong views on immigration. Cuccinelli was seen at the White House on Monday. The planning comes as Trump is threatening anew to close the U.S.-Mexico border as soon as this week if Mexico does not completely halt illegal immigration into the U.S. And it serves as the latest sign that the president plans to continue to hammer his hardline immigration rhetoric and policies as he moves past the special counsel's Russia investigation and works to rally his base heading into his 2020 re-election campaign. Aides hope the potential appointment, which they caution is still in the planning stages, would serve as the "face" of the administration on immigration issues and would placate both the president and his supporters, showing he is serious and taking action. White House press aides, Kobach and Cuccinelli did not immediately respond Monday to requests for comment. Kobach previously served as vice chair of the president's short-lived election fraud commission, which was disbanded after finding little evidence of widespread abuse. A Department of Homeland Security official noted that White House czars have been appointed in the past when there has been an "urgent need" for sustained, inter-agency policy coordination. While Homeland Security often plays a leading role when it comes to immigration policy and enforcement, the department is not in charge of officials at the departments of Health and Human Services, State, Defense and Justice, which often play key roles. Trump has often complained, both publicly and privately, about how he has not been able to do more to stop the tide of illegal immigration, which he has likened to an "invasion" and described as a national security crisis. 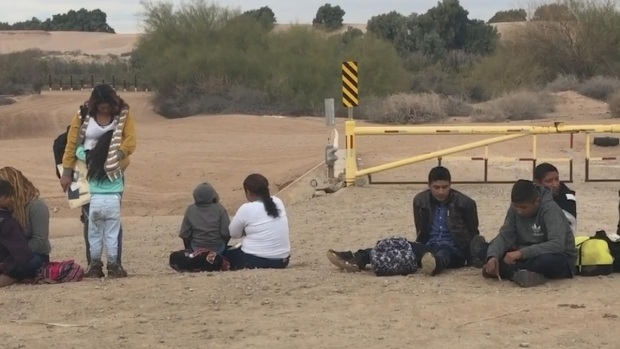 Arrests along the southern border have skyrocketed in recent months and border agents were on track to make 100,000 arrests or denials of entry in March. More than half of those are families with children. Still, Trump has been pushing. 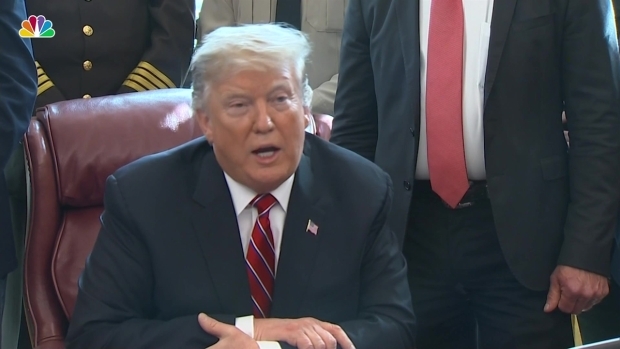 He has deployed National Guard troops to the border, forced a government shutdown to try to pressure Congress to provide more money for his long-promised border wall, and eventually signed an emergency declaration to circumvent lawmakers. He also moved Saturday to cut direct aid to El Salvador, Guatemala and Honduras, where citizens are fleeing north and overwhelming U.S. resources at the southern border. Those moves have involved a swath of government agencies. The Justice Department manages the immigration courts that decide whether a migrant is deported; Health and Human Services manages the care of migrant children apprehended at the border; agencies within Homeland Security manage the allocation of legal status, immigration enforcement and asylum requests; and the Pentagon and the Army Corps of Engineers manage facets of border wall construction. But not all are always on the same page. Earlier this year, for example, Health and Human Services closed down a temporary facility being used to house migrant children in Tornillo, Texas, creating a problem for border agents who ran out of bed space when the number of unaccompanied children crossing the border spiked. Homeland Security is not allowed to hold children in detention facilities for longer than 20 days. And last year, former Attorney General Jeff Sessions instituted a "zero tolerance" policy at the border without consulting others, causing a spike in the number of migrant children separated from their families. The separated children were placed in HHS custody, but there was no tracking system in place to link parents with their children until a federal judge ordered one, causing widespread fear and concern about whether families would ever see each other again. It has yet to be decided whether the czar position would be housed within Homeland Security or within the White House, which would not require Senate confirmation. A person positioned within the White House could coordinate immigration policy across various agencies, working closely with aides who are deeply involved in the issue, including senior advisers Stephen Miller and Jared Kushner, national security adviser John Bolton and Homeland Security Secretary Kirstjen Nielsen, who supports the idea. Appointing a person based within Homeland Security could be trickier because the department's agency heads are all Senate-confirmed positions and, in the case of Immigration and Customs Enforcement and U.S. Customs and Border Protection, are longtime immigration officials with decades of experience dealing with the border. While immigration officials would welcome an adviser focused specifically on policy across the varying agencies, the names being floated are likely to spark backlash and criticism. Kobach, an immigration hardliner, ran a failed bid for governor promising to drive immigrants living in the U.S. illegally out of the country. He has recently been working for a nonprofit corporation, WeBuildtheWall Inc., which has been raising private money to build Trump's wall. Cuccinelli has advocated for denying citizenship to American-born children of parents living in the U.S. illegally, limiting in-state tuition at public universities only to those who are citizens or legal residents, and allowing workers to file lawsuits when an employer knowingly hires someone living in the country illegally for taking a job from a "law abiding competitor." Thomas Homan, the former acting ICE director, has also been mentioned as a potential pick, according to one of the people familiar with the talks.